"Everything is clean, staff is super helpful , beach is beaut..."
Have a question for New Star Beach Resort? "The room is so spacious and nice." "The pool was fantastic, and the beach and ocean were beautiful." "We had a fabulous time at New Star!!" 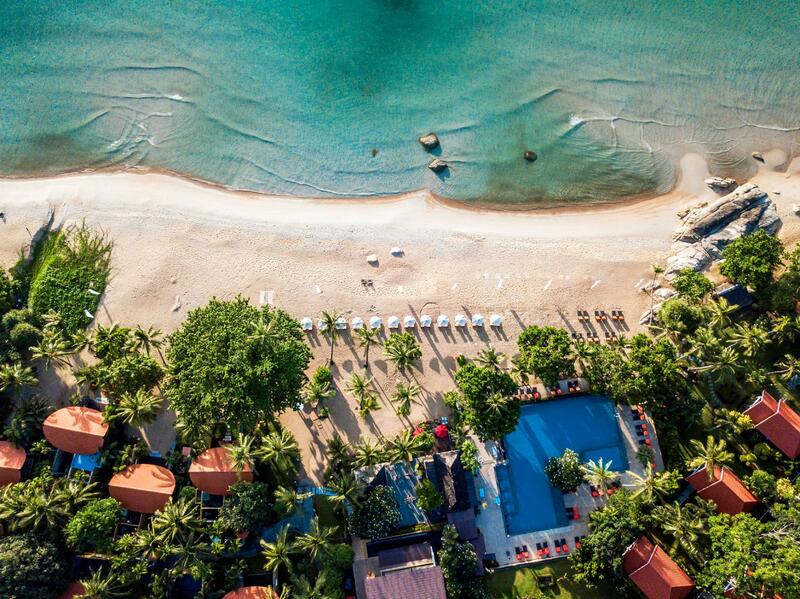 "Very helpful, very service minded, on a different level than..."
New Star Beach Resort is situated on the peaceful Chaweng Noi Beach and is the perfect hideaway for couples seeking tranquility, comfort, and personalized service. All rooms, villas, and cottages feature a host of amenities designed to make your vacation everything it’s meant to be - peaceful and rejuvenating. Dine at Lime for delectable, international gastronomy and exotic local fare. Try the poolside Chill for seafood, pizzas, and fresh salads during the day and Mediterranean cuisine during the night. The resort also offers a selection of sports facilities and leisure activities. Guests can go on land and sea excursions including dive trips, speed boat trips, land journeys exploring the natural splendor of the island, kayaking, catamaran cruises and more all the under the helpful hand of local tour operators. "Everyone in the resort is so warm and helpful." 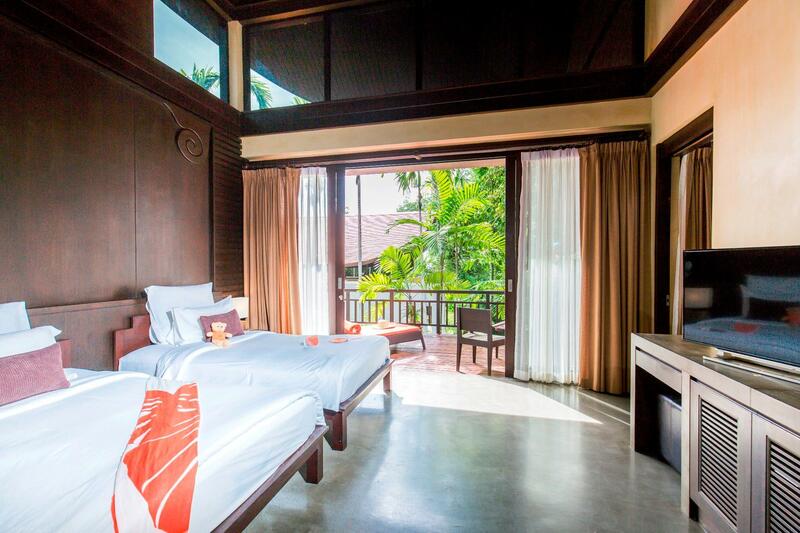 Children 4-11 years old will be charged THB 325 per child per night when using existing bedding (breakfast included). We loved our long weekend at New Star. The staff was so sweet, friendly, attentive...the pool was fantastic, and the beach and ocean were beautiful. We had a fabulous time at New Star!! I would definitely stay here again. Location to beach and dining / bar areas .staff especially Chod and his team were very nice as we're the very helpful reception staff , staff all wonderful - all deserve a bonus!! Very relaxed location although a taxi needed to town and a shuttle bus is laid on for 50baht 5 times a day . My only suggestions :The bar area could do to be bigger as when rains it gets full more fans in reception bar for us English sweaty people!! -3 to 38c is big change and only a minor issue but felt lighting in rooms could do to be a lot brighter as when cloudy / dull rooms with being dark wood are quite gloomy , otherwise very good hotel and would visit again . The hotel is really welcoming and the staff really concern themselves with ensuring that you have the best stay possible. The facilities are all really great and the rooms are so spacious and take account for all of your needs. really lovely hotel with fantastic facilities. the staff are really friendly and accommodating to ensure you have the best stay. the rooms are really spacious and really well equipped to make you feel just like you are at home. it has easy access to more busier parts of the island. Good range of room types and prices. Best part of the Chaweng beach for swimming. Boutique "feel". we come and stay on koh samui every year but this was our first time at newstar. it certainly won't be the last! everything was very classy and fuss free and the resort itself is beautiful. staff very friendly and professional. This was our 3rd hotel in Thailande and the best hotel we had. 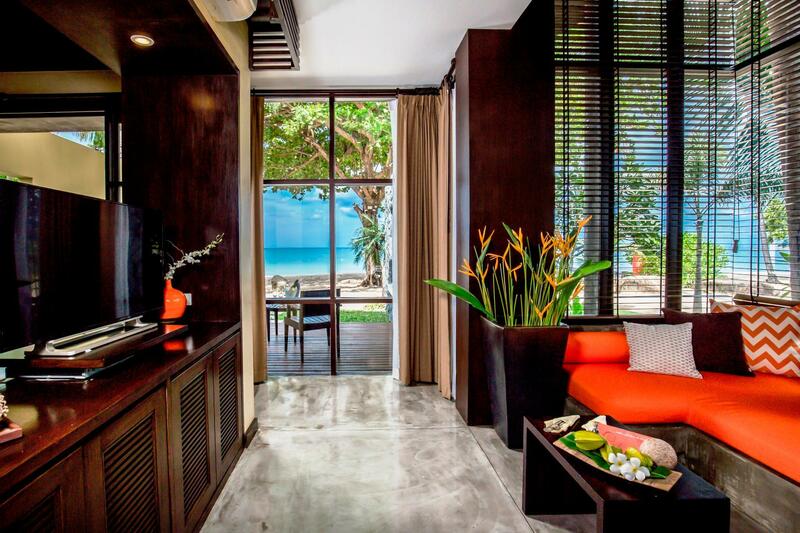 The hotel is located at the south end of Chaweng, thus in a quiet place. The beach is just beautiful, the rooms are very nice and the breakfast buffet is just great: lots of choice, good food and nice staff. Me & my family planned this trip 4 months ago and NewStar didn't dissapoint us. I loved the whole feel of the architecture and room layout. 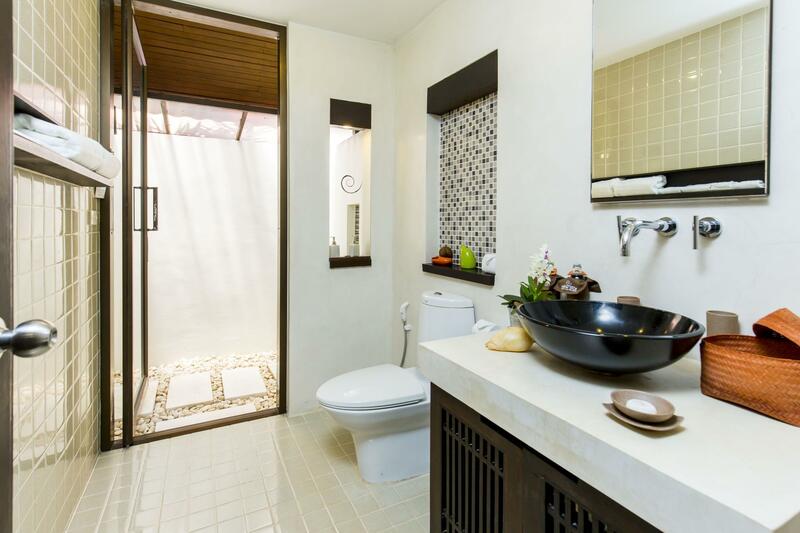 I personally liked the outdoor shower and my wife enjoyed the fact the rooms are surrounded by well-kept gardens. We both loved the beach & the pool area. We didn't feel that the hotel was overcrowded even though it was high season. On the downside, we believe that the hotel should provide a buggy service to ferry people up and down the slope between the rooms and the beach area. Overall, we had a good holiday and we wouldn't mind coming to NewStar again the next time we go to Koh Samui. The internett (wifi) was slow. Other than that, I really don't have much to point to on the negative side. Any small niggles were met with a can-do attitude from staff. Very helpful, very service minded, on a different level than you meet in Europe. They provide hourly shuttles up to Chaweng, but I suggest pre-booking places. Though, don't do the shuttles. Just go out to the road and do the Song-Thaws, a lot more fun than the yellow taxis and resort shuttles. They're 50 THB per person in daytime up to Chaweng area, in evenings and over long distances a bit more, but haggle. That's half the fun. Also, those restaurants out by the road that you might think are just shabby shacks - EAT THERE! Gourmet Terrace has spectacular curries. Hotel restaurant has good food, but a bit more costly than other places to eat. Beach bar not so pricey though. But seriously, eat at the places by the end of the resort's driveway. Just look at their insane ratings on Google. I travel for a living and have stayed in many hotels the last 28 years- this place is one of the best! Everything is clean, staff is super helpful , beach is beautiful and the breakfast buffet offers a lot and is fresh and tasty. Would come back here next time! We had 4 ocean view cottages and next to the swimming pool & easy access to the beach. The staffs are very friendly and helpful. We enjoyed our stay very much. It will be even better if they have kid club and gym. But this will not affect my scoring on it. The location is good, 15 minutes from airport. Several good restaurants in 10 minutes walk distance. We will definitely consider it if we visit Koh Samui again. The beachvilla is locatet next to the beautyful beach. 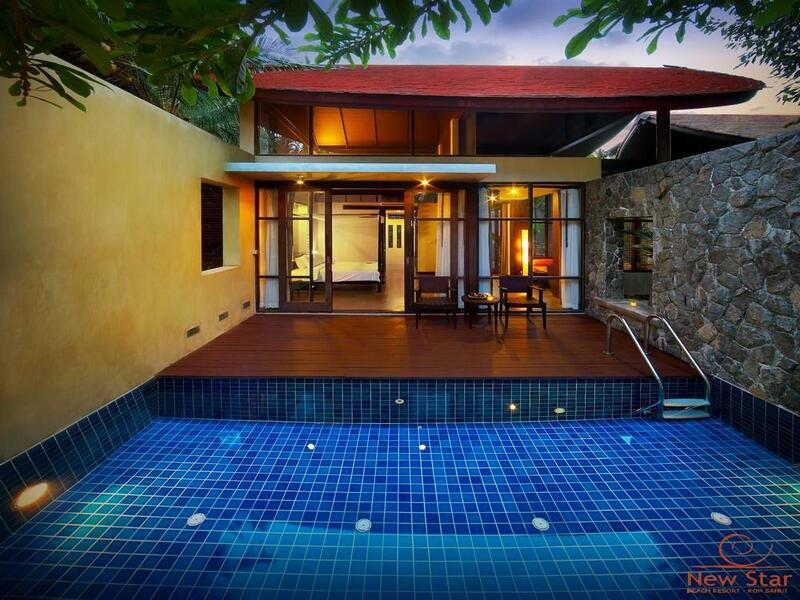 It is very luxurious with a big bed, living room, outdoor- shower, big bathroom and own terrace. We just loved the place! The resort appartments, spa, restaurant and hotelbar are placed in the middle of an exotic garden with many flowers. All staff were very kind and friendly and tried to make our stay as pleasent as possible. We would definitely recommend the resort to people who are looking for a quiet, amazing place to relax and enjoy the beach. Great staff/swimming pool/location. Only 10 mins ride to central festival area, very convenient and meanwhile you can enjoy quite time in the resort. Very big swimming pool but towels are too old. In sum, I recommend this resort and gave it high credit. We had an amazing time. Thank you so much. Canopy on bed fell apart when we pulled it away from wall to plug in phone. New Paint on walls would go a long way. Thank you for hospitality! Will definitely recommend resort. The highlight of our holiday. Everything about our stay here was perfect. We arrived 1 day late due to our flight being cancelled and the staff not only upgraded our room but gave us an extra night on our trip to make up for it! Not only are the facilities here great, the service and food is amazing too. Pool, proximity to the beach and morning sunrise views! Excellent, couldn't have been better. The place was quiet which suited us to a tee. The hotel staff were helpful and accommodating and the breakfast buffets were great! The only thing that I would recommend others to do is hire a scooter for the time there and go explore as limited things nearby to do or eat. Great experience. We stayed at room 603 which is very close to the beach and we woke up each day listening to the sound of the waves. How lovely is that!? The countdown dinner party on 31 Dec on the beach was romantic and amazing. You can tell that each staff is very dedicated into providing services to guests. They are very helpful and offered to help very proactively throughout my stay. Save that wifi in the rooms is weak, I have nothing to complain about New Star.